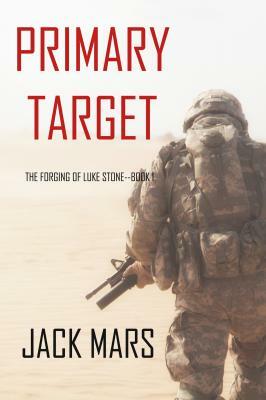 “One of the best thrillers I have read this year.” –-Books and Movie Reviews (re Any Means Necessary) In the much-anticipated debut of a new series by #1 bestseller Jack Mars, when elite Delta Force soldier Luke Stone, 29, joins a secretive government agency, he is dispatched on the mission of a lifetime: a whirlwind race across Europe and the Mid-East to save the President’s daughter before she is beheaded by terrorists. In PRIMARY TARGET (Book #1), we see the forging of one of the world’s toughest—and most lethal—soldiers: Luke Stone. A 29 year old veteran who has seen enough battle to last a lifetime, Luke is tapped by the Special Response Team, a secretive new FBI agency (led by his mentor Don Morris) to tackle the most high-stake terrorism operations in the world. Luke, still haunted by his wartime past and newly married to an expecting Becca, is dispatched on a mission to Iraq, with his new partner Ed Newsam, to bring in a rogue American contractor. But what begins as a routine mission mushrooms into something much, much bigger. When the President’s teenage daughter, kidnapped in Europe, is ransomed by terrorists, Luke may be the only one in the world who can save her before it is too late. PRIMARY TARGET is an un-putdownable military thriller, a wild action ride that will leave you turning pages late into the night. It marks the long-anticipated debut of a riveting new series by #1 bestseller Jack Mars, dubbed “one of the best thriller authors” out there. “Thriller writing at its best.” –-Midwest Book Review (re Any Means Necessary) Also available is Jack Mars’ #1 bestselling LUKE STONE THRILLER series (7 books), which begins with Any Means Necessary (Book #1), a free download with over 800 five star reviews!